Anyone who has ever been on an airplane has probably experienced the slightly uncomfortable (or downright terrifying) feeling of turbulence. You know, those rocky bumps in the air that jar the cabin or those brief moments of free-falling as you hit an air pocket. 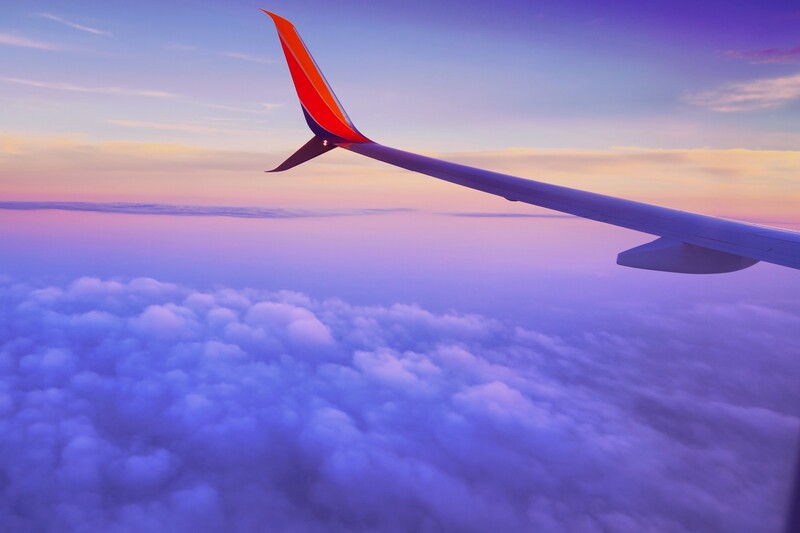 Most of the time, the passengers can weather those moments with a nervous laugh, but if the turbulence is particularly bad, those same passengers may find themselves having a quick conversation with their higher power. Anyone who has experienced flying through a terrible storm may opt out of flying ever again because the experience was so horrific. That said, anyone who has ever traveled a long distance in an airplane has experienced flying at a higher altitude. This experience is wonderful because the plane is flying high enough to fly above the weather where the ride is nice and smooth. There could be a storm raging below but flying at this high altitude allows the airplane and all its passengers to not be impacted by the craziness below. I feel like this is an excellent analogy for understanding yet another benefit of meditation. As much as anyone would like to hope for a life of smooth sailing, it just isn’t realistic; loved ones are lost along the way which brings grief and heartache, and times of change can bring with it scary feelings. But not all lessons are learned in the easy times and a lot of growth and expansion happens in the rough patches (assuming the fear of the rough times doesn’t keep the plane from flying at all). But taking the time to meditate, particularly in those times of turbulence, helps us to lift our altitude (attitude) to help us fly above the storm. When your social media network is arguing like cats and dogs, meditate so you can fly above it. When the news has you convinced that the country is going to hell in a handbag, shut off the TV and meditate so you can fly above it. When the storm around you is raging, meditate so you can fly above it. Meditation not only allows us to put some distance between us and whatever challenge we are facing, it allows us to possibly change our perspective, find some compassion, as well as create a space for answers and or insight. Find a way of building in some meditation time, whether it’s a quick 10 minute grounding exercise at home or hopping into your local meditation class. The storm will rage until the storm is done but you certainly have the option to either fly through it or above it.